Mid-November is peak deer hunting season in Maine, but the profile of that hunter hoping to bag a deer is changing. "Women as hunters is the fastest growing segment of our membership," David Trahan, Executive Director for the Sportsman's Alliance of Maine, said. Trahan say 25 percent of SAM'S membership is now families and women. "I think women are looking for new types of outdoor recreation," Trahan said. "I'm excited by it." 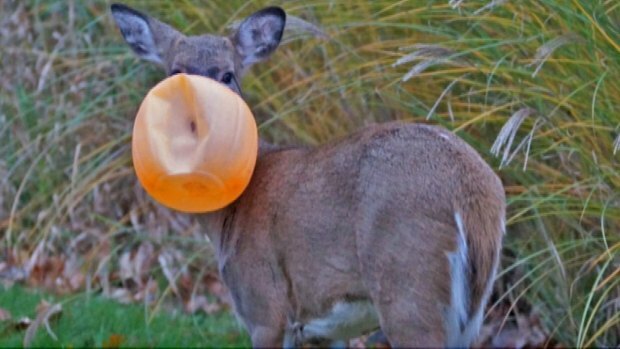 A plastic Halloween pumpkin bucket stuck on a deer's head in Ohio is preventing it from eating and drinking. According to the Maine Department of Inland Fisheries and Wildlife, women made of 8 percent of hunters in 1996. By 2011, that percentage had climbed to 13 percent, and the numbers continue to rise. Erin Merrill, a wife and mother from Portland, says she was introduced to hunting by her dad at age 20. Now she makes time to hunt primarily to feed her young family. "I like knowing that the food my son is eating I killed, I butchered and I processed," Merrill said. "250 pounds of bear meat and 75 pounds of deer meat," she said. Like their male counterparts, women say they enjoy being in the woods and the thrill of the chase. 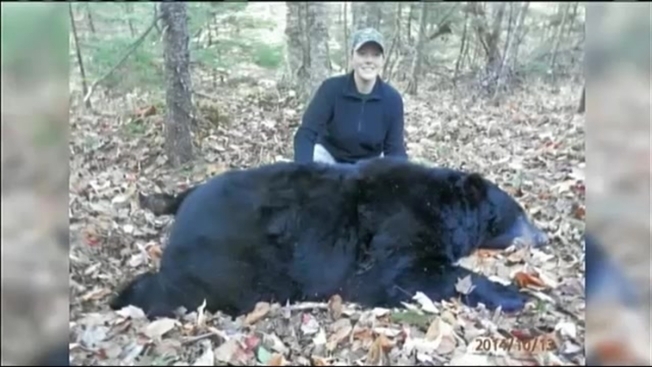 "Anything could happen, That's what I love," said Ginny Hurley, a hunter from central Maine. But she says women are still not welcome in some quarters. She says she attended a Hunter's Breakfast on the first day of the season this year, and she was ignored. "They did not want to look at me," she recalled. "It was like I was invisible and I did not like that." Where the hunting community may still be catching on, outdoor outfitters are all in. Roughly a quarter of the camo department at Cabela's in Scarborough is for women only . "They want something warm, something that fits their bodies, and something where they don't look like a woman in a man's clothes," Cabela's Jennifer Jackson said. As women establish their place in this male dominated sport, one wonders if it might be time for a name change at the Sportman's Alliance of Maine. "We may have to examine that," said Trahan. "Sportsmen and Women's Alliance of Maine? Hmm."